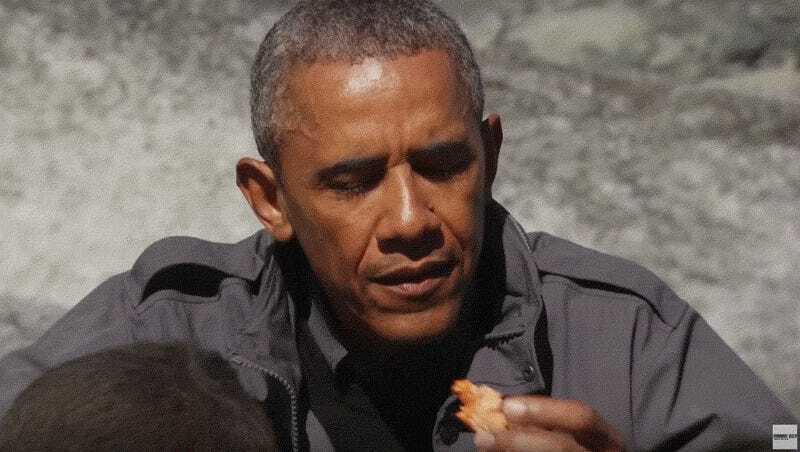 “This has got to be one of the best days of my Presidency,” Obama tells the camera shortly before Bear Grylls feeds him a nasty old piece of bear-ravaged salmon he found beside a river in Alaska. While on last week’s big Alaskan adventure, the President took a day to film an episode of Running Wild with Bear Grylls. It’ll air this fall on NBC and these are the first clips we’ve seen from it. No word on whether or not Obama drank any of Bear’s urine.